Varavara Rao was arrested on August 28 by the Pune Police. He is under house arrest since August 30 as per the Supreme Court's order. 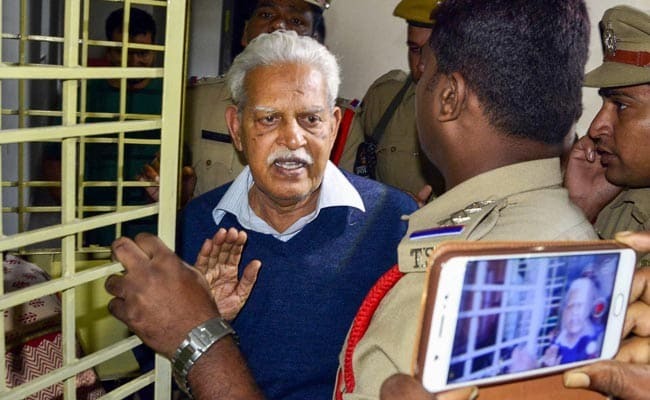 The Supreme Court's refusal to interfere in the arrest of five rights activists is "unfortunate and unexpected", a family member of P Varavara Rao, who is under house arrest for his alleged links with Maoists, said on Friday. "Because the falseness of the concocted evidence has come out openly in the court. Despite our hopes and expectations today's 2:1 judgment refused to intervene," N Venugopal Rao, a nephew of Varavara Rao told PTI. Speaking to reporters, Varavara Rao's wife Hemalatha said, "We did not expect this judgment. We, me and Varavara Rao sincerely thank the lawyers for taking up our case. Following the arguments in the court, we assumed that the case will be quashed."